The leaf-shaped island of Taiwan sits east of mainland China with the Pacific Ocean bordering its own east coast. When one thinks of Taiwan, towering skyscrapers and colorful night markets come to mind. However, this country also holds an astounding number of natural sights that are breathtakingly beautiful. Taroko Gorge, Alishan Mountains, and the Yushan National Park are just some of these must-visit destinations. 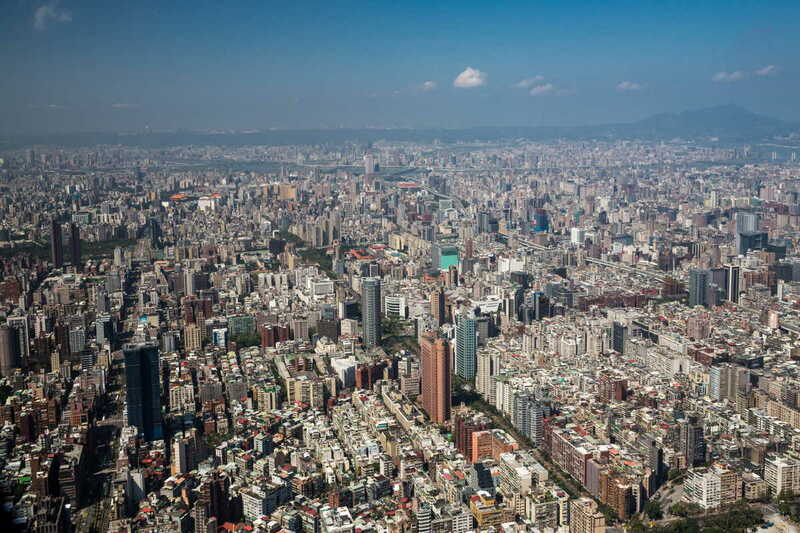 Taipei: Capital city and is known as the home of Taipei 101, the world’s tallest building from its construction in 2004 till 2010 when the Burj Khalifa took over the title. The symbol of modern Taiwan, this tower is architecturally designed to withstand earthquakes. On average, Taiwan experiences more than 40 earthquakes a day, most of which pass by unnoticed. Night and street markets are another regular feature of the city. Shilin is one of the oldest markets and packed with street food vendors and shops selling anything from clothes and shoes to mobile accessories. Sun Moon Lake: Taiwan’s largest lake is also one of its most beautiful. Sun Moon Lake is located in the mountains of Nantou, centre of the island. The shape of the lake has given it the name – to the west, the lake is long and narrow like a crescent moon and the east is round like the sun. This lake is very popular with the locals and it is advisable to book early when planning your visit. The aboriginal Thao tribe live around the lake and have a special area for their religious practices on the small island of Lalu in the centre of the Sun Moon Lake. Alishan Mountains and farm stays: Located in the central-southern area of Taiwan, the Alishan mountain range is one of Taiwan’s most striking natural sight. One of the best experiences to be recommended here would be the leisure farm stays such as the one offered at Long Yun. Little chalets are set among bamboo and cedar forests where only the sounds of birds can be heard. Rows of tea shrubs overlook the mountains in the distance. Taroko Gorge: Formed out of deep-sea coral that turned into marble, the striking canyon walls of the gorge are a must-see. Hike and walk along the trails of this beautiful gorge for some unforgettable experiences. The gorge is located within the Taroko National Park and named after the local aboriginal tribe of Truku. Pagodas and temples are nestled among the lush green vegetation that thrives here.